Four cabinet doors that conceal space for media storage and four electrical components. Designed to accommodate thin screen wall-mounted or table top with screen sizes up to 70". 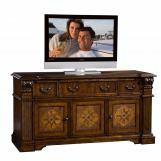 The sleek bow front of this TV Console with louvered slats adds unique, contemporary styling to the modern conveniences of this console. 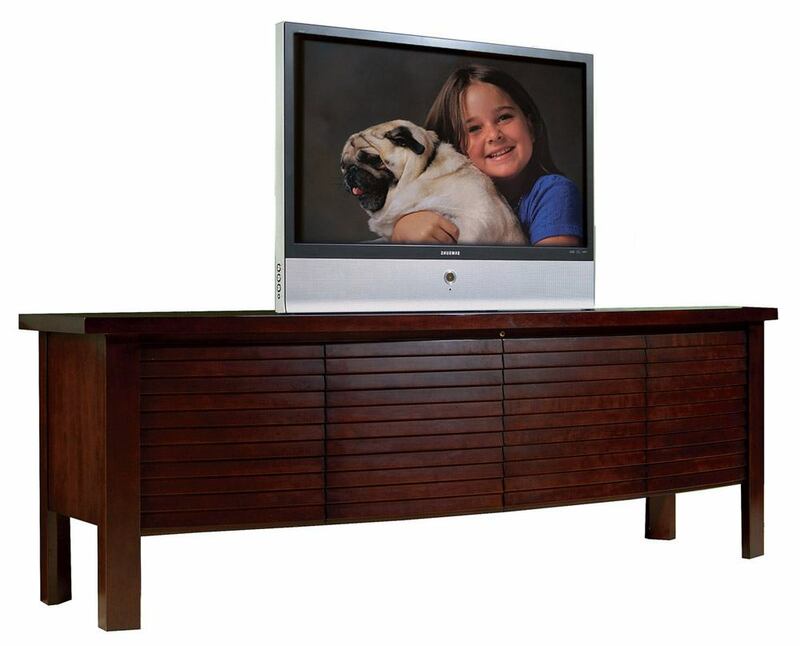 Designed to accommodate thin screen wall-mounted or table top with screen sizes up to 70". It includes four cabinet doors that conceal space for media storage and four electrical components. Smart Eye® allows for remote control of concealed electronic components. Accommodates the optional Sligh® Strong Arm and Sligh® Smart Fan.